4.7/5 Service Rating Based On Over 500 Reviews. We are very pleased to have recently exceeded 500 service reviews. This has been achieved with consistent, excellent feedback from our clients, which has helped us to maintain a fantastic overall service rating of 4.7/5. We would like to give a special mention to our training team and office staff who continue to go above and beyond for the company and our clients. 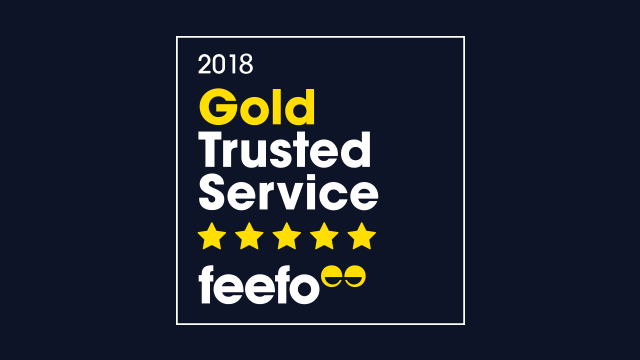 Our performance over 2017/18 resulted in us receiving the Gold Trusted Service Status. All customers are provided with the opportunity to review their experience. Since implementing the independent feedback platform Feefo in early 2017, we have actively used the constructive and positive feedback to help improve our service. All customers are provided with the opportunity to review their experience with us and we would like to encourage all clients to leave their feedback as this can only help to further improve our service level and the courses which we offer.